You have heard about processors, motherboards, graphics cards, and RAMs for gaming. However, have you ever wondered about the significance of a hard drive in a gaming machine? If you’re unsure, don’t worry. We’ll make it fun and informative for you. So, when you’re done reading this article, you’ll be ready to give expert advice on Hard Drives to your friends. We’ll guide you through different hard drive types and help you make an informed decision on your next best hard drive for gaming in 2019. Just for clarification, we shall separate our best hard drive picks according to the Hard Drive types as mentioned above. For uniformity, we shall focus our picks on 1TB storage capacity hard drives. 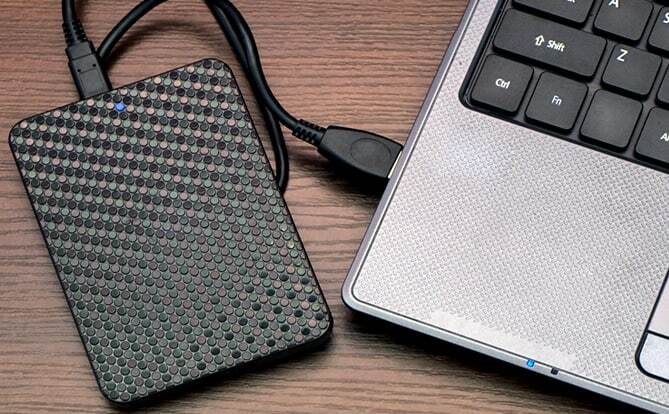 You can find the same type hard drives in different storage capacities. Of course, with a higher price for higher storage sized drives. We know that you came here to read on the best Hard Drive for gaming. So, let’s get right into it now. 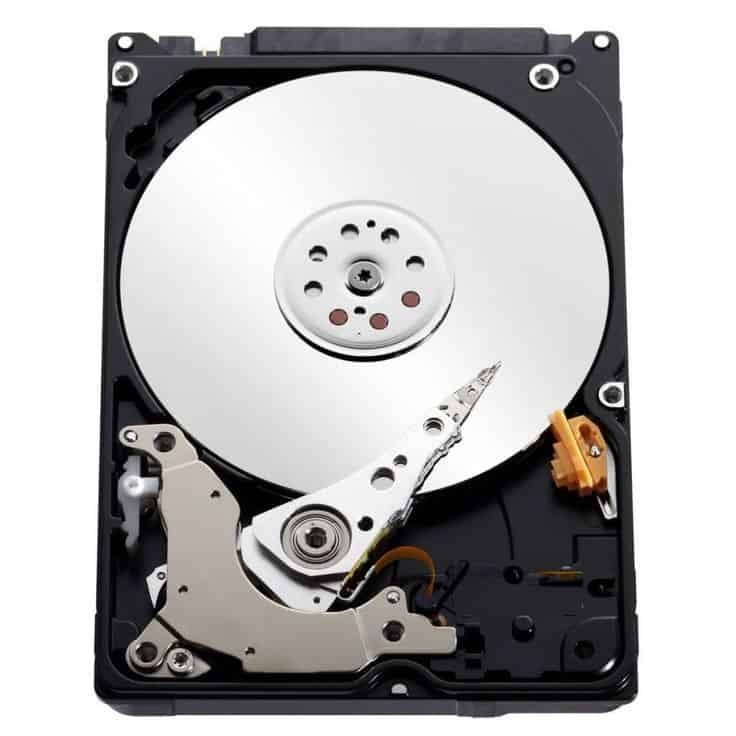 There are many magnetic disc Hard Drives on the market. However, we’re going to talk about two different hard drive series under this category. We shall then choose the best one. We do not want to confuse you with a long list of similar Hard Drives on the market. Anyone can do that easily. We’ll also go through the nitty-gritty stuff. Then, we’ll give you our honest take on the best hard drive for gaming in this category. Sounds good? Let’s begin. First on our list is Western Digital’s Black Series Hard Drive. The black series includes the new generation of high-performance hard drives from WD which is designed to enrich the overall computing experience. These HDDs have SATA 6.0 Gb/s interface. They feature Dual Core Processor inside and High Resolution Controller (HRC). So, you can retrieve your content faster and more accurately. These drives give improved data protection by utilizing Vibration Control Technology (VCT) and NoTouch Ramp Load Technology. These technologies ensure longer life of the hard drive. This series also has Corruption Protection Technology in case of an abrupt power loss. This feature will limit any corruption of data that you are working on during any power failure. WD gives five years of warranty with the Black Series Hard Drives. Longer warranty is the primary motivating factor for many Hard Drive buyers. From the benchmark testings, average Read/Write speed is 151/136 MB/s with peak Read/Write at 204/175. 1TB WD Black series HD sells for around $ 70. Protects Hard Drive from physical disturbance with features like VCT and NoTouch Ramp Load. Package includes only Hard Drive. So SATA cable will have to be purchased separately. Seagate has been in the hard drive business for over 20 years, and they do make good hard drives. 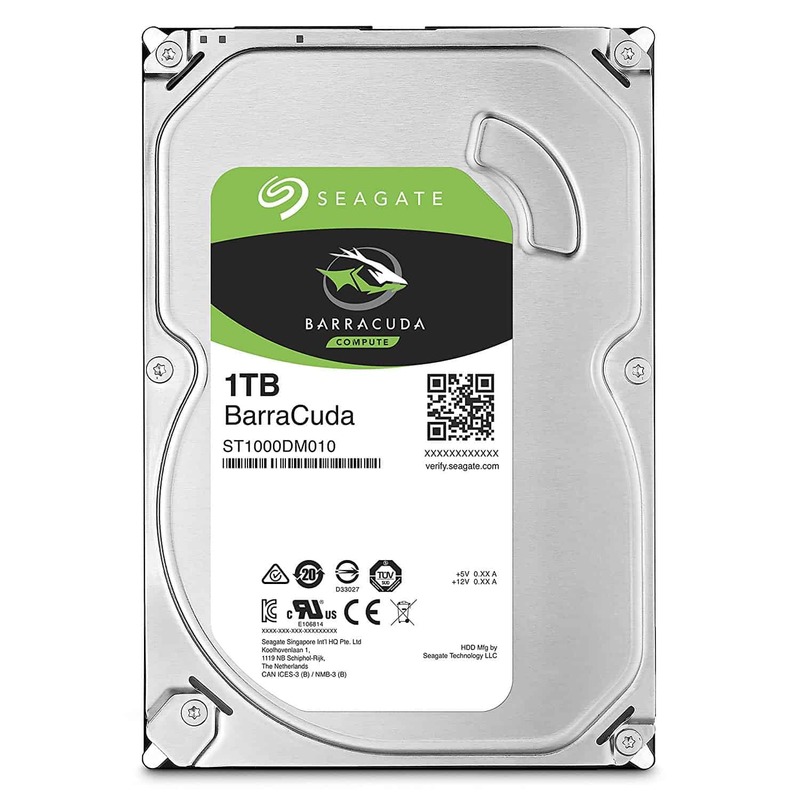 Seagate’s Barracuda series Hard Drives are available only in 3.5″ form factor. In this hard drive series, you get 7200 RPM disc spindle speed. These feature along with several MB of the cache memory is just like what you get in WD Black Series Hard Drives. These drives have SATA 6.0 Gb/s interface for connecting with the motherboard. This series includes Instant Secure Erase feature which allows users to retire the hard drive easily and safely. It also comes with data protection with Self-Encrypting Drive (SED). From the benchmark testing, average Read/Write speed is 168/147 MB/s with peak Read/Write speed at 204/193. It has Advanced Power modes to help save energy without sacrificing performance. However, this hard drive comes with only two years of manufacture warranty which is less than half the warranty you get for WD Black series Hard Drives. It is priced about $ 45 for the 1TB model. Comparatively affordable for the same capacity hard drive. Package includes only Hard Drive. So, SATA cable will have to be purchased separately. available only in 3.5″ form factor. Not for MacBooks or laptops due to the larger form factor only. Both the hard drives mentioned above are reliable, less noisy, and good in performance. However, our pick for the best traditional Hard Drive on the market under this category is Western Digital’s Black series Hard Drive. The Benchmark testing performance between WD Black series and Seagate Barracuda series Hard Drives seems about similar. However, the main motivating factor for us is the Five years of manufacturer’s warranty for the WD Black series which is not that common in the traditional Hard Drive market. For this category, we didn’t have to scour far. 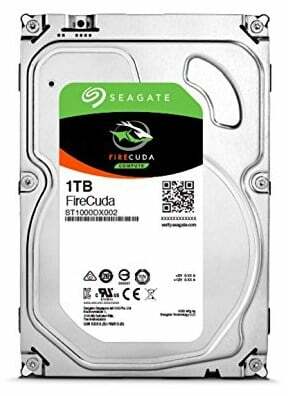 Seagate’s FireCuda is by far the best SSHD available in the market. This hard drive is an excellent choice for buyers with a limited budget, and yet want some performance improvement with their gaming or overall computing experience. According to the manufacturer, the speed improvement is five times than that of regular 7200 RPM drives. This speed boost is due to the fast intermediary Solid State chips inside. Overall responsiveness is also increased by 30% when compared to traditional hard drives. Thus, making this the best in the class of SSHD for gaming. It includes software features for easy drive retirement as well as encryption for safety which seems standard with Seagate hard drives. This feature can come in handy for some users. According to the benchmark testing, the average Read/Write speed is 132/151 MB/s and peak Read/Write is 189/201 MB/s. The drive comes with five years of manufacturer warranty. Faster load times for non-stop performance and play. Backed by a 5-years Warranty. SSDs have been around for many years now. Still, new laptop and desktop models do not widely include these fast drives. There are many players in the SSD marketplace. We have narrowed down our list of SSDs to four. We shall choose the best in this category for gaming among these four SSDs. All SSDs have SATA III interface for the connectivity of 6 GB/s. Moreover, they all come with five years of manufacturer’s warranty. Samsung 860 Pro is the fastest series of SSDs available in the market. However, the fast speed comes with more than double the price tag of other competing SSDs. It is powered by Samsung’s 3D V-NAND technology which helps in optimized performance for everyday computing and gaming. It comes with five years of manufacturer warranty. Longer warranty is great because it puts people’s fear of reliability of SSDs to rest. From the benchmark testing, the average sequential Read/Write speed is 455 MB/s, while the manufacturer speed testing data gives the sequential Read/Write speed of 560/530 MB/s. 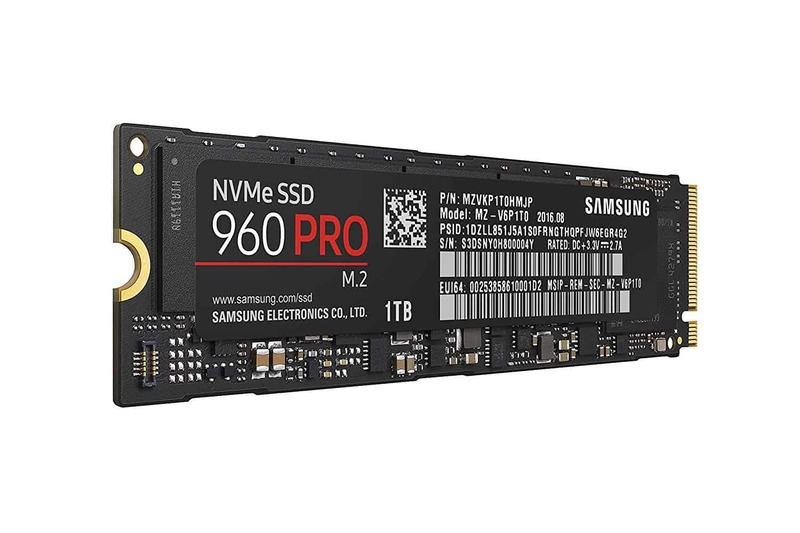 Samsung 860 Pro 1TB sells for about $ 410, which translates to the per GB price of about $ 0.40. The high price tag may be the discouraging factor for many buyers for the extra increase in speed and performance. Crucial is one of the prominent SSD makers out there. With this SSD, you get better value at an affordable price tag and better performance. 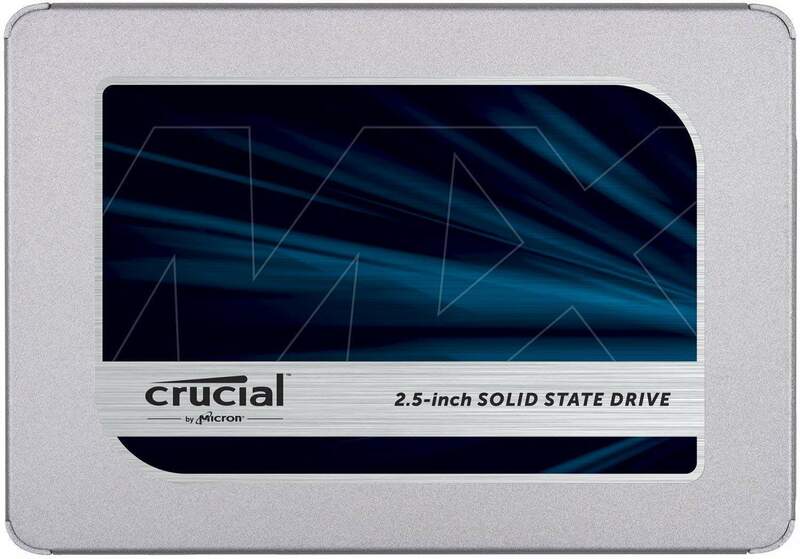 Crucial MX500 series of SSDs gives you better value for your investment. These SSDs integrate Power Loss Immunity that protect your data in case of power failure. This feature can be an important feature for many users who are wary of data loss in case of power outages. They use Micron’s 3D NAND Technology for its flash memory chips. Additionally, they incorporate AES 256-bit hardware encryption to keep your documents safe. These drives come with five years of manufacturer warranty. From the benchmark testing, the average sequential Read/Write speed is 481/428 MB/s, while the manufacturer speed testing data gives the sequential Read/Write speed of 560/510 MB/s. 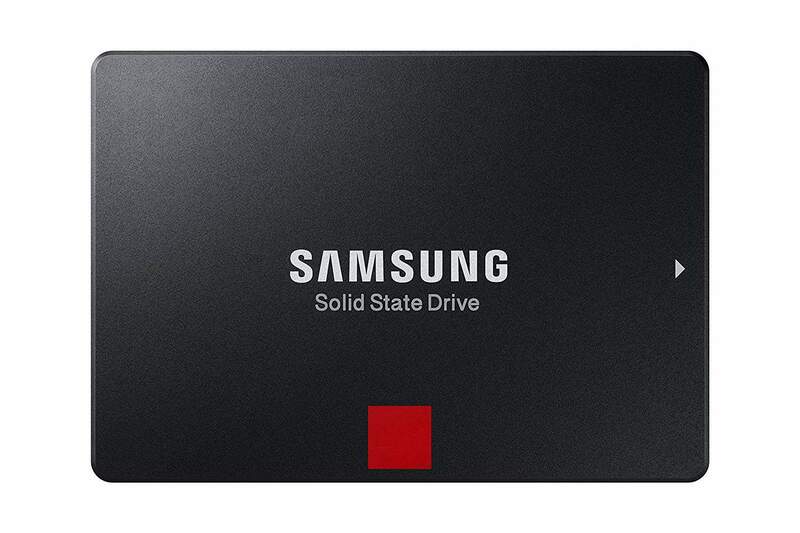 This drive is priced at about $ 160 for the 1TB model, which is a lot less than Samsung’s 860 Pro 1TB drive. Which translates to the per GB price of about $ 0.15 making this a lot more appealing to budget buyers looking for a quality SSD. Samsung leads the SSD market share by about 33 percent overall for 2018. This is far more than that of other manufacturers like Intel, Micron, or SanDisk. Samsung 860 Evo is an affordable alternative to the more pricier Samsung 860 Pro Series model. 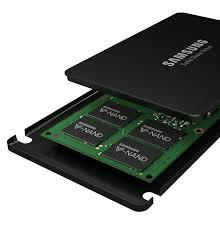 Samsung’s V-NAND flash memory technology powers these SSDs, which means optimized performance for users. On top of that, it comes with five years of manufacturer warranty. Just like its bigger brother, Samsung 860 Pro, it offers boosted endurance with the up to 8x higher Terabytes written. These drives also include Error Correction Code which helps with faster and more reliable data transfer. From benchmark testing, the average sequential Read/Write speed is 479/446 MB/s, while the manufacturer speed testing data gives the sequential Read/Write speed of 550/520 MB/s. 1TB storage capacity of this SSD sells for about $ 170. This translates to about $ 0.17 per GB of memory. Besides their line of traditional Hard Drives, Western Digital is also active in the SSD market. It has its Blue series of SSDs on the market. It uses 3D NAND flash memory technology, and you can find these drives in capacities of up to 2 TB. According to WD, these new SSDs use 25% less power than their previous generation SSDs. Less power drawn means a longer battery life for your laptop. These drives also boast of 1.75 million hours of mean time to failure and up to 500 terabytes written for enhanced reliability. This translates to a competitively longer life of these drives. They come with five years of manufacturer warranty. From benchmark testing, the average sequential Read/Write speed is 454/427 MB/s, while the manufacturer speed testing data gives the sequential Read/Write speed of 560/530 MB/s. 1TB storage capacity of this SSD sells for about $ 170, which translates to about $ 0.17 per GB of memory. 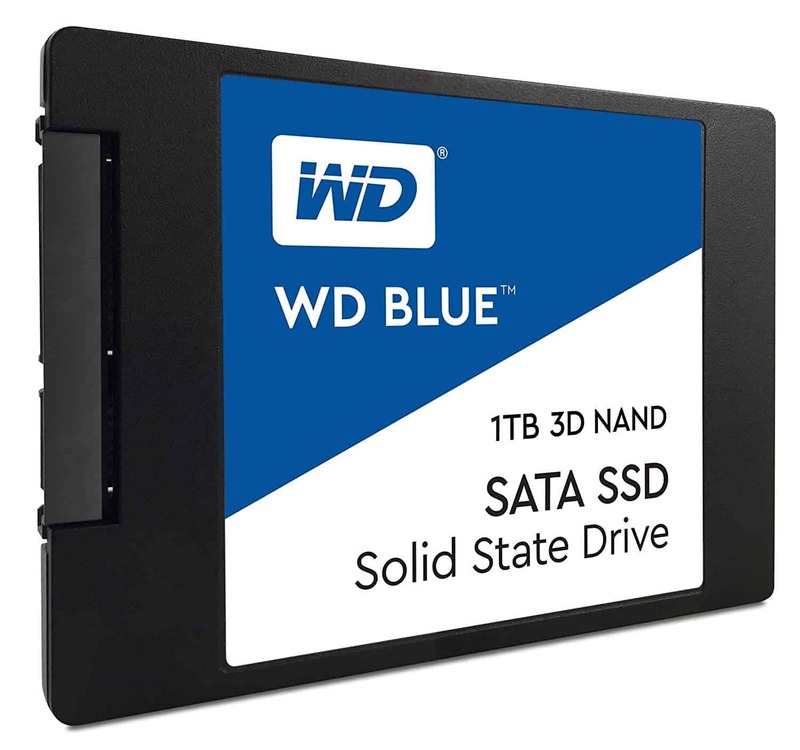 For our pick of the best SSD for gaming, we’ve picked WD Blue Series. These drives offer best value for your money while still being fast, reliable, and responsive in computing. It is also backed by five years of warranty. 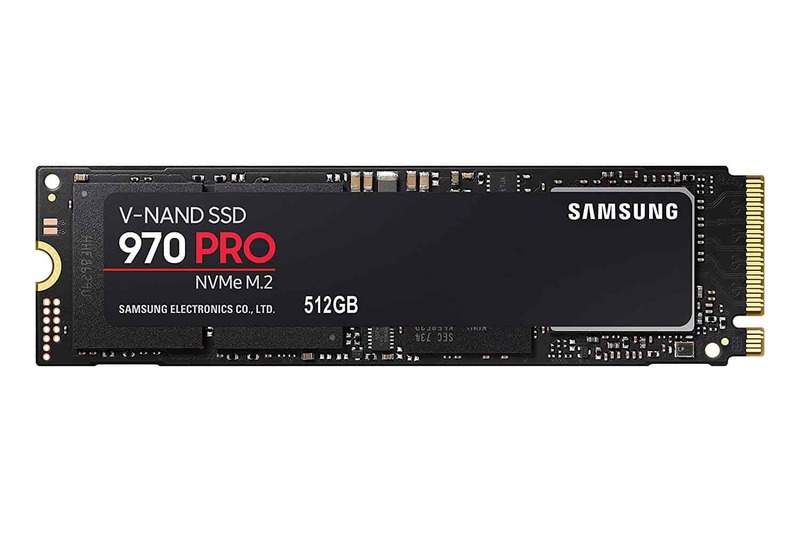 Many serious gamers opt for NVMe SSD card for their storage. This is because of the speed of the data transfer advantage for other forms of storage media we’ve mentioned above. Samsung 970 Pro series drives come in small modules, much like RAM modules, and connects to a motherboard on a PCIe slot. This series is available in 512GB and 1TB models. They incorporate the same V-NAND flashing technology for their memory chips as their SSDs. Maximum sequential Read/Write speed is 3,500/2,700 MB/s. These drives are, however, relatively expensive when compared to the similar performing SSDs. Very high speed data transfer via PCIe bus. No need for SATA cable unlike SSDs. Best External Hard Drive for Gaming? 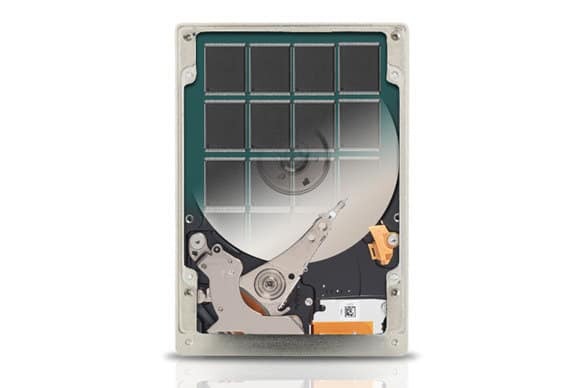 External Hard Drives have an internal hard drive inside of their exterior enclosure. Any of the HDD, SSHD, or SSD storage drives that we’ve mentioned above can be converted into an external hard drive with an enclosure. However, if you do not want to hassle with all that then we’ve got our best pick among External hard drives for you. 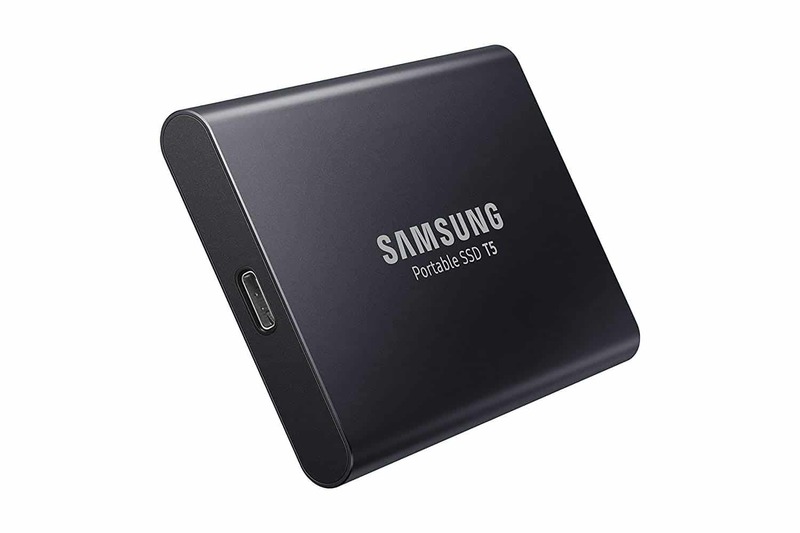 Samsung T5 Portable SSD drives include SSD inside and boasts the superfast Read-Write speeds of up to 540 MB/s. The design is top notch with unique metal casing that fits on the palm of your hand. They incude AES 256-bit hardware encryption for added security. The IO port is high speed USB Type-C and does come with a USB Type-C to A cable. Manufacturer warranty is only 3 years, which is less than what you usually get for a regular SSD. It comes in the storage capacity of up to 2TB. 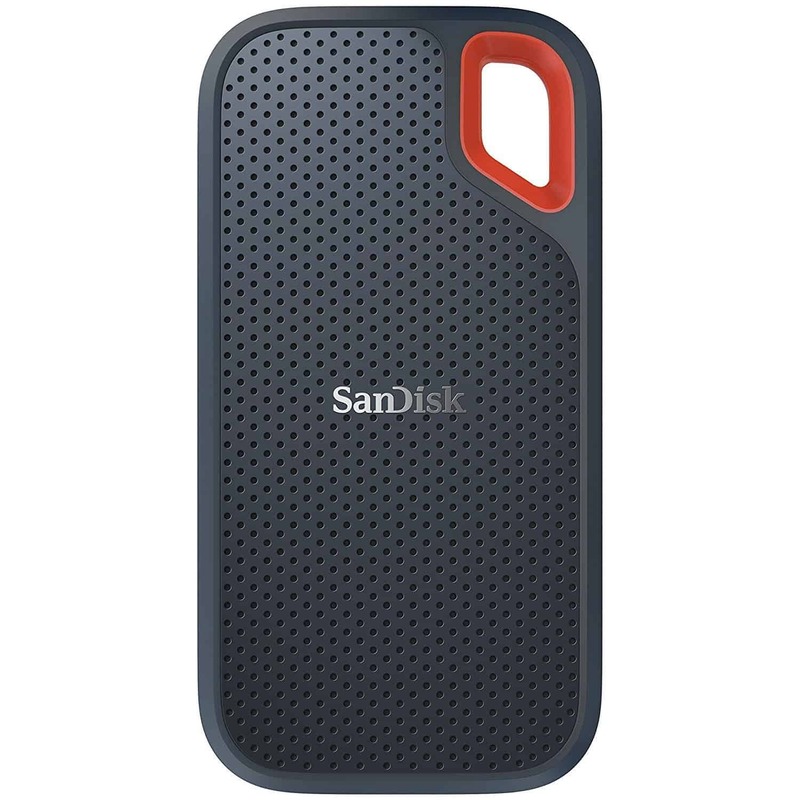 The SanDish Extreme Portable SSD series external hard drives look and feel rugged. They feature a notch on a side so you can carry them on a carabiner with you. They are dust resistant, IP55‐rated. These drives are available in the storage capacity of up to 2TB. They boast the high‐speed data transfers rate of up to 550MB/s, which translates to the jiffy file transfer when it comes to your high res photos and videos. Relatively cheaper than some of the other branded external SSDs. For our pick of the best branded External hard drive for gaming, we’ve picked SanDisk Extreme Portable SSD series. These drives offer the best value for your money while still being fast and reliable. 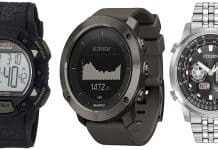 They look like something that you take along with you while you go hiking. However, these drives perform excellently with the data transfer rate of 550 MB/s using the newest USB 3.1 gen 2 port. You can buy a branded external hard drive on the market or build your own by purchasing an internal hard drive of your choice and an external enclosure. To clarify, these branded external hard drives, which are relatively expensive, still have an internal hard drive in them. The simple secret or rather a trick in having your own an external hard drive is to insert your (internal) hard drive inside of a hard drive enclosure. You can easily buy your choice of a hard drive enclosure for around ten bucks. If you use an internal hard drive by transforming it into an external hard drive, your hard drive warranty is not void. However, if you open the casing of a branded external hard drive and use it as an internal hard drive then you’re out of luck with the warranty of your hard drive should it fail. Since now you know about the best hard drive for gaming, you can buy one from our lists, be it HD, SSHD, or SSD, along with an external enclosure. Then, you can build a Premium quality External Hard Drive for Gaming and still keep the warranty of your hard drive. We’ll guide you on how to go about building your external hard drive and save some money while doing that. Sounds good, right? Let’s begin. How to Build your own Best External Hard Drive for Gaming? You can buy one of the hard drive enclosures for about $10. Older hard drive enclosures have USB2.0 (compatible with USB1.0) port but newer ones have USB3.0 or USB3.1 port. These are the USB standards, with increasing version being newer and faster in speed. They are, however, backward compatible in speed. You may also see USB Type-C port in newer laptops or devices. 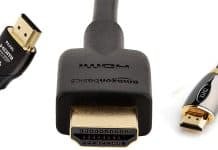 But, this is a USB plug or connector type and not a USB standard like USB 3.0. Apple or Mac users are familiar with a different standard port called Thunderbolt. Newer Thunderbolt 3 ports have USB Type-C connector. Thunderbolt 3 has the maximum data transfer rate of 40 Gbps. While buying a hard drive enclosure, be mindful of the internal connector for the enclosure. Older hard drives use ATA interface as opposed to the newer interface, SATA. These interfaces are physically different with ATA being larger and having more connection points. SATA hard drives will not connect with ATA enclosure even though your hard drive may fit inside the enclosure. In order words, choose SATA hard drive enclosure for newer hard drives using SATA interface. Certainly, no one wants the hassle of returning one’s purchase and wasted time. if you look at your hard drive enclosure, you will find a USB port on one side only. Usually, there are a couple of little screws on the two ends on that side. Using a Phillips screwdriver, remove the two screws to open the side with a USB port. You’ll have to pull the lid part and it’ll come out. Look at the hard drive interface and the connector on the inside of the enclosure lid. They should align. There is a small gap that gives you an idea about which side to connect since there are data and power pins. The good news is that there are no loose wiring to worry about while connecting. Gently push the hard drive into the SATA connector, so the SATA interface connects with the corresponding SATA interface on the enclosure lid. Slide in your internal hard drive inside the enclosure. Keep in mind that the bigger 3.5″ hard drive will need a compatible hard drive enclosure. Screw back the enclosure lid, and that’s it. You are done. You’ve your own external hard drive with a USB port. Used to be when computer’s internal memory or RAM was limited in size and expensive in price, Operating Systems like Microsoft Windows used Paging of the RAM content in a Hard Drive when program codes were not being used in the main memory or RAM. Let’s make this even more familiar to you. 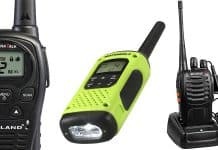 The concept of Paging is like depositing your money in your bank account when you’re not using it and cashing it in your wallet when you need it. This going back and forth between your bank and your home can get rather strenuous on you if you happen to live far away from your bank, right? Similarly, moving program codes between RAM and Hard Drive is very taxing to the overall speed and performance of a computer. That’s how it was before. Also, let’s face it, program applications and even operating systems back then were limited in size. However, it was still slow. I guess people were much patient just a couple of decades ago. What do you think? With RAM prices at a fraction of cost per GB now (RAM size used to be in MB not that long ago), personal computers have the luxury of having several GBs of RAM on their motherboard. Having that much amount of RAM, programs can now be loaded on to RAM and not have to worry about hogging the memory space and slowing down the performance. With Paging concept out of the way, let’s try to understand why we still need to have a faster Hard Drive in our computer despite having lots of RAM. 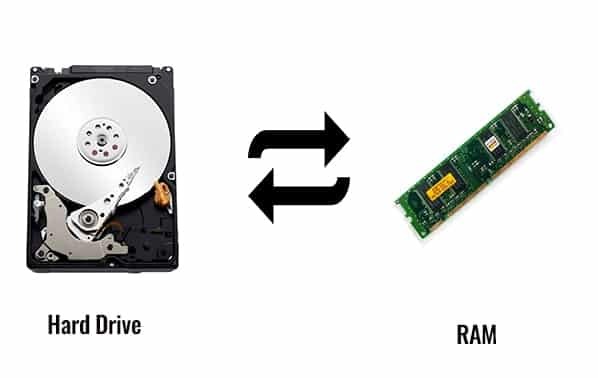 Why We need a Faster Hard Drive? A fast storage device is important, but the read/write speed of a storage device like Hard Drive or newer SSDs will still be significantly less than the read/write speed of RAM chips. Furthermore, RAM is a volatile memory and cannot retain information when there is no power, while Hard Drives are a non-volatile memory and can retain data when a computer is shut down. We have our Operating System and applications on a Hard Drive. Regardless of the large RAM size of today, we still need to have our games and other software saved in a Hard Drive. That’s because a single gaming program can take up like 50GB of disk space! Moreover, we can’t just have one program in the whole of RAM. With faster Hard Drive means faster loading of your applications on to RAM. This means, faster Read/Write. Which in turn, translates to better performance or better user experience. So, that should give you some idea about what and why we need a faster Hard Drive for your computer. Now, let’s focus our attention on different types of Hard Drives. These are what most people think of when they hear of a Hard Drive. The general term “Hard Drive,” refers to the common non-volatile storage device inside a computer, and not necessarily this type of Hard Drive. This is because the magnetic disc Hard Drives have been around for a lot longer than the more recent Solid State Drives (SSDs). This type of Hard Drive stores binary data or bits on magnetic disc/s inside a hermetically sealed enclosure. There are needles/arms that do read/write operation on the discs. In order to locate a bit of information, pun intended, on a hard drive, these magnetic discs move on a spindle, with needles/arms moving radially. 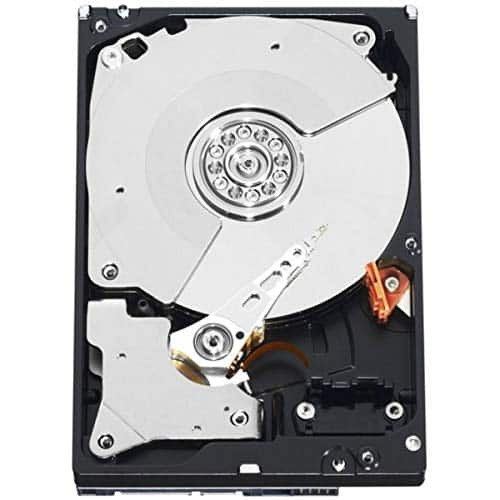 If you have already looked at hard drive features in a product description for Hard Drive, you may have seen the numbers such as 5400 or 7200 rpm. These are the disc rotational speed per minute. Yes! They do turn that fast. Since more rotational speed means more power requirement, so generally you will find 5400 RPM Hard Drive in a laptop and 7200 RPM Hard Drive in a desktop computer. There are higher RPM hard drives available. For example, 10,000 RPM and 15,000 RPM Hard Drives. 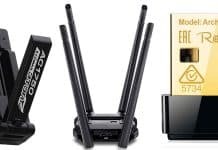 However, these are generally used in network servers. With onboard cache memory in Hard Drives, overall read/write operation per second (Input Output Per Second/IOPS) speed or throughput is boosted even with 5400 RPM Hard Drive. A laptop Hard Drive has the form factor of about 2.5 inches, while a Desktop Hard Drive has the form factor of about 3.5 inches; both measured as width. Two of the main benefits of traditional Hard Drives are their low cost and high storage capacity. In a sense, this is the combination of traditional Hard Drive mentioned above and Solid State Drive (mentioned below). These drives have a small amount of high-speed flash memory (the same kind found in SSDs) inside the same housing as hard drive magnetic discs. So, you get faster speed because of the SSD acting as cache memory in SSHD. While the price of these drives is cheaper than the regular SSDs, they are still more expensive than traditional Hard Drives. 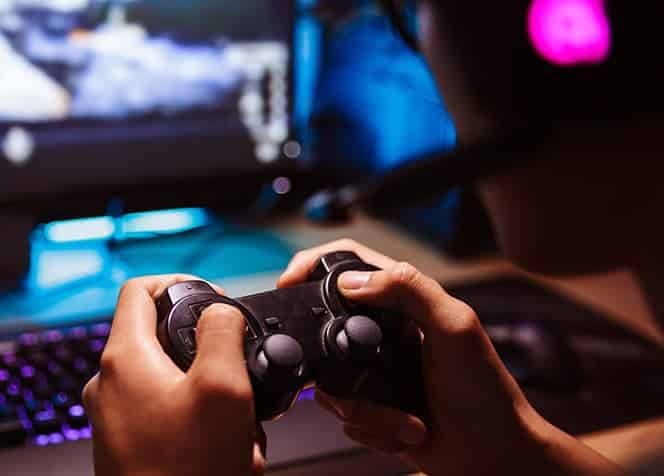 For budget gamers who’re looking for a new hard drive, this category of hard drives offers speed as well as reliability needed while at the same time not hurting their wallet. With that said, let’s talk about the third type of hard drive storage. These are the new breed of a storage device which incorporates high-speed flash memory chip instead of magnetic discs like regular Hard Drives to store data. SSDs come in 2.5” form factor only. They contain no moving parts, unlike the two previous hard drive categories mentioned above. Consequently, they make no noise like the other hard drive types. They are also cooler and more energy efficient. Thus, being more environmentally friendly. These drives boast the Read/Write speed of about 550 MB/s which is about 4x faster than traditional Hard Drives. The increased speed is, unfortunately, dwarfed by their cost. For example, for a 1TB SSD, the cost is about five times more expensive than 1TB regular Hard Drive. Many users worry about SSDs supposedly having a short lifespan. However, for a typical user, SSDs, for example, with a warranty of 75TB read/write is warranted to last for five years. For instance, Samsung EVO 1TB SSD has the warranty of 5 years which is the same as some of the best Hard Drive warranties. Additionally, SSDs also come in a different form factor with PCIe connector. They employ NVMe (Non-Volatile Memory express) storage protocol to transfer data in very high speed with a motherboard. These connect internally to a motherboard. These SSDs resemble more like a RAM module in shape than a regular SSD. Hopefully, now that we’ve presented you with more information on hard drives in general, and the best hard drive for gaming in each hard drive category, you can find the difference between various hard drive in the market. We’re confident that your next hard drive for your gaming machine will be fast and reliable. Most importantly, you’ll be satisfied with your purchase. We expect that our guide has helped you with any ambiguity you might’ve had on hard drives. Also, you are now able to look into any hard drive product pages, and not get confused with the product description. So, until next time, be sure to check other interesting tech news or tech related articles including product reviews and guides here at TechNewsToday.